HARKER HEIGHTS, TX – Interim CEO Zach Dietze was named Chief Executive Officer of Seton Medical Center Harker Heights February 8, 2017 in an announcement by Paul Kappelman, CEO of LHP Hospital Group, parent company of the hospital. Dietze has been with Seton Medical Center Harker Heights since August 2012, having served as assistant administrator since that time. In that role had operational responsibility for ancillary and support departments, and served as ethics and compliance officer. Additionally, he led the development of the hospital’s outpatient therapy program in partnership with the Armed Services YMCA, and collaborated with the Greater Killeen Free Clinic to develop a chronic disease management program to serve uninsured patients throughout the community. In October 2016, he was named Interim CEO after the resignation of Matt Maxfield, former CEO. In his role as CEO, Dietze will continue to work collaboratively with Chief Nursing Officer Pam Craig, MSN, RN, and Chief Financial Officer George Fayer. 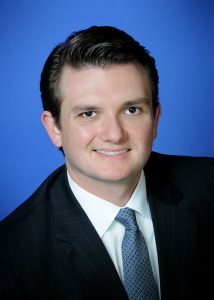 Prior to joining SMCHH and LHP Hospital Group, Dietze was program manager for ACO Development at Harris Health System in Houston, Texas where he also completed his administrative residency. Dietze was raised in Round Rock, Texas and received his Bachelors of Arts from the University of Texas at Austin, and his Master of Science in Healthcare Administration from Trinity University in San Antonio, Texas. He is a current member of the American College of HealthCare Executives (ACHE). Dietze serves on the board of directors for the Armed Services YMCA – Killeen and is a member of the Rotary Club of Harker Heights. Dietze lives in Harker Heights with his wife Ashley and son Henry.